Tick-Borne Relapsing Fever is a recurring fever caused by exposure to infected Borrelia bacteria. The detection of allergies to antibiotics is currently conducted with a series of in vivo skin tests; they are invasive, and as such, entail inconveniences. 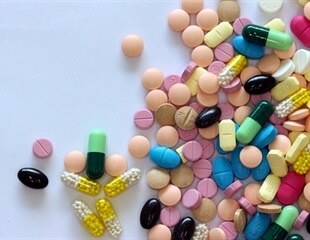 Researchers analyzing the sales of oral antibiotics for children in 70 high- and middle-income countries found that consumption varies widely from country to country with little correlation between countries' wealth and the types of antibiotics. Persons with Alzheimer's disease are more often hospitalized after antibiotic initiation than people without AD, a new study from the University of Eastern Finland shows. With increased use of antibiotics worldwide linked to growing antibiotic resistance, a world-first study co-authored by a QUT researcher has highlighted the growing impact of non-prescription supply of antibiotics in community pharmacies, and the urgent need for better enforcement of laws. Got a sore throat? The doctor may write a quick prescription for penicillin or amoxicillin, and with the stroke of a pen help diminish public health and your own future health by helping bacteria evolve resistance to antibiotics. Cell walls -- the jacket-like structures that surround all known bacteria -- may turn out to be bacteria's undoing, holding the key to developing new drugs that target it for destruction. Lyme disease is an infection that spreads with the bites of an infected tick. For the past four years, a vaccine to protect dogs from this disease has been available. Now, vaccinating humans against this disease has also become a possibility. Children with asthma are more likely to be prescribed antibiotics even though there is no evidence that they need them any more than children without asthma, according to research to be presented at the European Respiratory Society International Congress 2017. CANCER researchers in the UK may have stumbled across a solution to reverse antibiotic drug resistance and stop infections like MRSA.